Given all the awesome blogging Paul Bond has been doing of his hardboiled readings as an open, online student I figured I would start streaming and archiving the classes for anyone who might have any interest. The students are starting to find their pace as well, but I have to start pushing them to more closely analyze and excavate the texts in their posts, which will happen in time as we start to ramp up and build upon the research and analysis across texts and decades. I didn’t want to assume anyone would want to listen, but given I have a new computer with plenty of space and Nicecast working again it’s dead simple to provide an archive. What’s cool is two students were absent tonight, so now they have an instant archive as well. I’ll be broadcasting as many classes as I can this semester on ds106radio, especially when you consider the added bonus that great folks like Dr Garcia, Andrew Forgrave, Luke Waltzer, and Daniel Zimmerman tune-in on the fly for the hell of it. Talking literature never gets old for me, and when you can marry it to film, pop culture, and visuals it’s the whole enchilada! Anyway, here it is if you are so inclined. 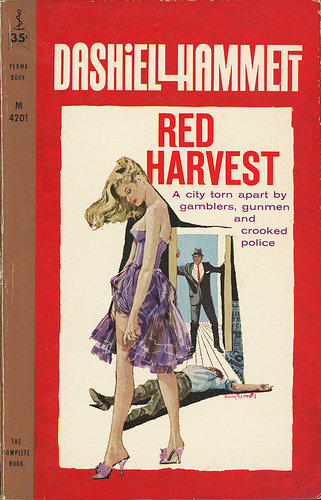 This entry was posted in Hardboiled and tagged Dashiell Hammett, ds106radio, hardboiled. Bookmark the permalink.